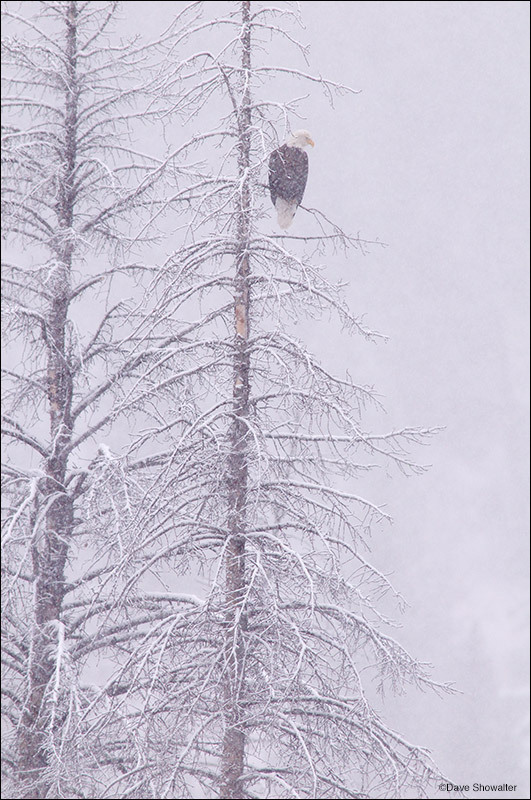 An adult bald eagle fishes from a skeleton tree over the North Fork of the Shoshone River in a snowstorm. Haliaeetus leucocephalus. Photo © copyright by Dave Showalter.